The 19th-century art movement impressionism originated with a group of Paris-based artists. In the 1870s to 1880s, their independent exhibitions brought them to prominence. The person featured on this page is Edouard Manet. He was born on January 29,1832 into the ranks of the Parisian bourgeoisie. Before becoming an impressionist, he was a French painter in the 19-century and was a main figure in the transition from realism to impressionism. 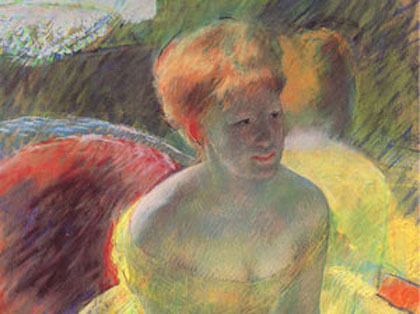 His early works, "The Luncheon on the Grass" and "Olympia" made large advances for the young artist as he furthered the impressionist movement. Today, these works of art are considered to be watershed paintings and are the genesis of modern art. 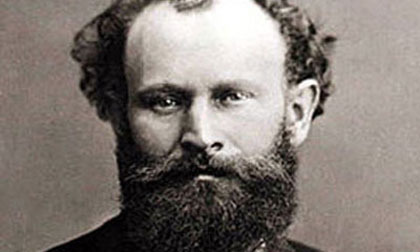 Edouard Manet died from rheumatism, untreated syphilis, and an amputation when he was 51. He contracted rheumatism and the syphilis in his forties but when his left good was infected with gangrene in his early fifties and was in need of amputation. 11 days after his operation Manet died and was buried in the Passy graveyard in Paris.